Ever since we were kids, our parents and even our teachers always taught us proper hygiene. They always remind us to take a bath everyday, brush our teeth, wash our hands, etc. The reason why we need to practice proper hygiene is because being clean will keep us healthy and it will decrease the chances that we might get bacteria and viruses from our surroundings. Being physically clean is very helpful to keep us free from sickness, plus it is easy to do, but being clean on the inside is another thing especially when you do not have a balanced diet or you do not incorporate proper nutrition in your lifestyle. This could result to digestive problems or if worse, colon diseases. Good thing that there is a food supplement that can clean our colon to lessen, if not eliminate, the risk of having colon diseases. ATC's Fat Out helps in improving the absorption of nutrients from the healthy food we eat. It cleans our colon by pushing out the undigested waste resulting to a colon that effectively absorbs the nutrients needed by our body. This can also result to weight loss due to the flushing of hard to digest fats out of our system. 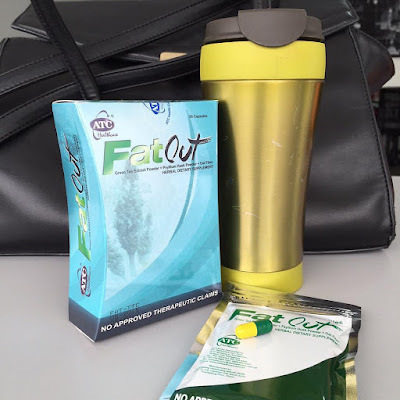 This is all possible, thanks to Fat Out's revolutionary Sweep and Shred Formula that not only cleanses the toxins in the colon (Psyllium Husk) but also trim down and burn the fats (Green Tea Extract). It also nourishes the digestive system that helps in proper bowel movement. Just keep in mind that Fat Out is a food supplement and not a medicinal drug. Hence, it is does not treat diseases. Definitely a supplement that I would recommend to those who would like to keep their digestive systems clean and clear from waste. 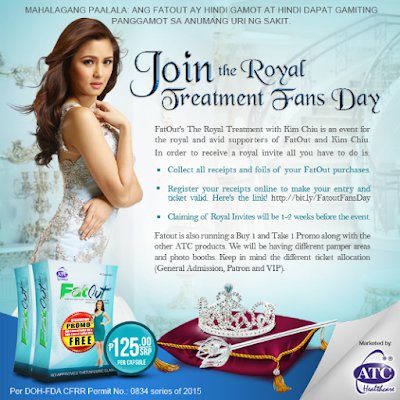 You can purchase ATC's Fat Out at all Mercury Drug Stores and other leading drug stores nationwide for P125.00 per capsule. Discovery Channel's must-watch "People Power: 30 Years On" airs tonight! 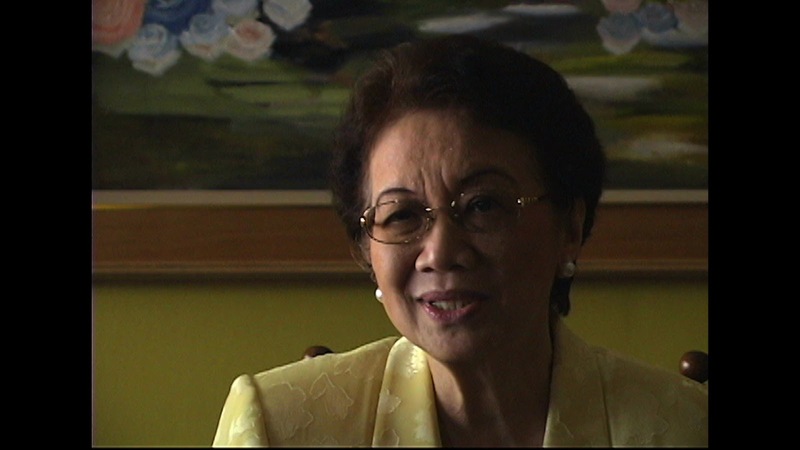 To celebrate the 30th anniversary of 1986's People Power, more commonly known as EDSA Revolution, Discovery Channel presents a special documentary that involves interviews from the iconic key players of this historical event. 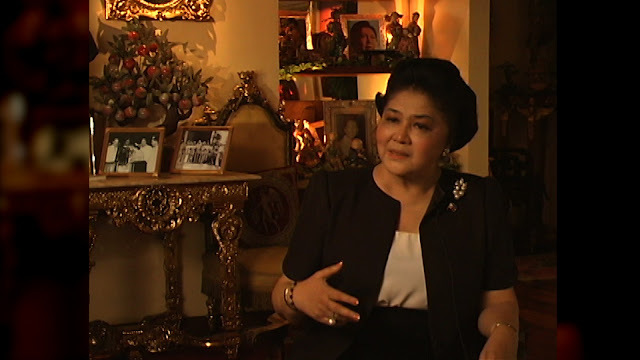 Interviews were originally shot ten years ago featuring former First Lady Imelda Marcos, former President/late Cory Aquino, former President Fidel Ramos, Reform Armed Forces Movement heads and members (Senator Honasan, General Batac, Colonel Kapunan) and several other notable persons telling the truth behind People Power 1986 in their own perspectives and experiences. To make the documentary up to date, Discovery Channel decided to include additional presenter-led links to camera featuring presenter, actor and celebrity Trey Farley. 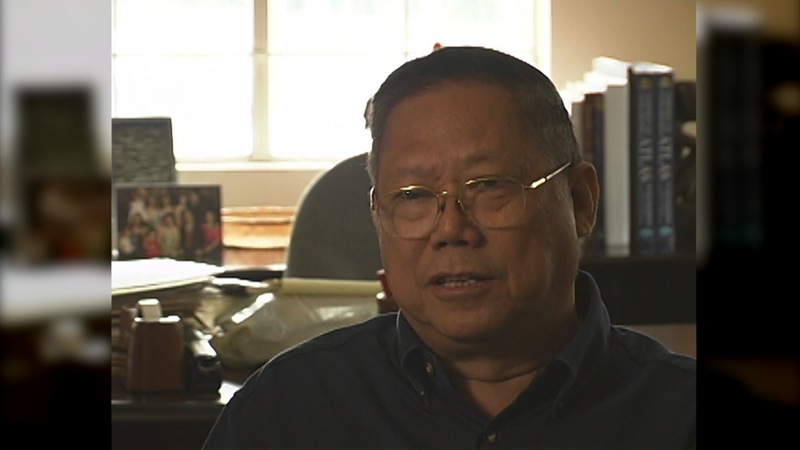 Born and raised in Manila by an English father and a Filipino mother, he personally witnessed the revolution 30 years ago as a young boy. On the documentary, Trey visits key locations around the Metro that are significant to the story to present his links to the camera. He also re-narrates the entire show with an entirely new musical score. I was very fortunate to be able to watch the exclusive screening of People Power: 30 Years On last Sunday at the new QCX Museum inside the Quezon City Memorial Circle. Media/Bloggers were invited as well as VIPs including Captain Felix Turingan, former Navy Commodore Rex Robles, Senator Gringo Honasan, Ms. Jackie Aquino (daughter of former Congressman Butz Aquino), Vice Mayor Josefina Belmonte-Alimurung and MTRCB Chairman Atty. 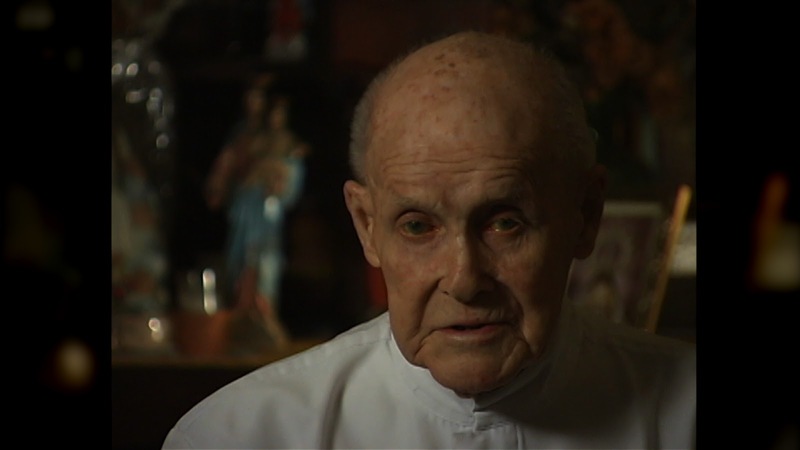 Eugenio Villareal. Ms. World Philippines 2014 Valerie Weigmann was also seen at the event. The program started of with Mr. Louis Boswell, Discovery Networks Asia Pacific - Southeast Asia General Manager. He explained as to why they wanted to feature this documentary on Discovery Channel with reasons such as they wanted the millennials to understand and relive the EDSA Revolution and to learn once and for all the truth as to why it happened straight from the key players of the People Power. 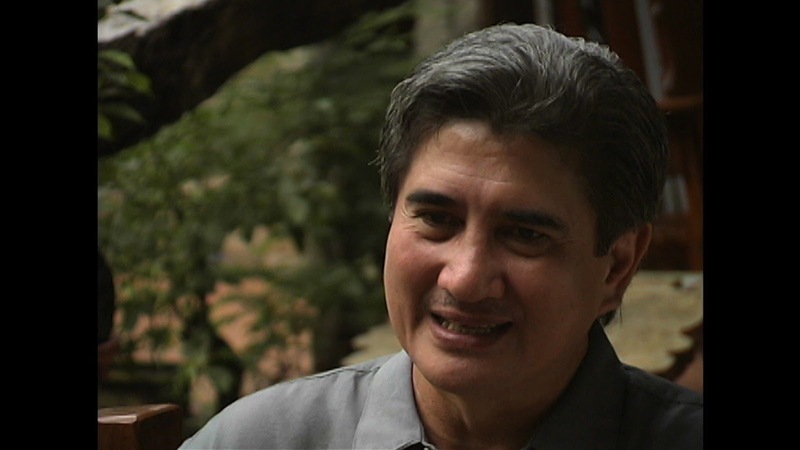 After the documentary, questions were entertained by the panel composed of Captain Turingan, former Navy Commodore Robles and Senator Honasan. Attending this event is worth it after watching a documentary that showed the perspectives of both parties (Marcos and opposition) from different key players plus the questions and answers during the open forum was very enlightening. 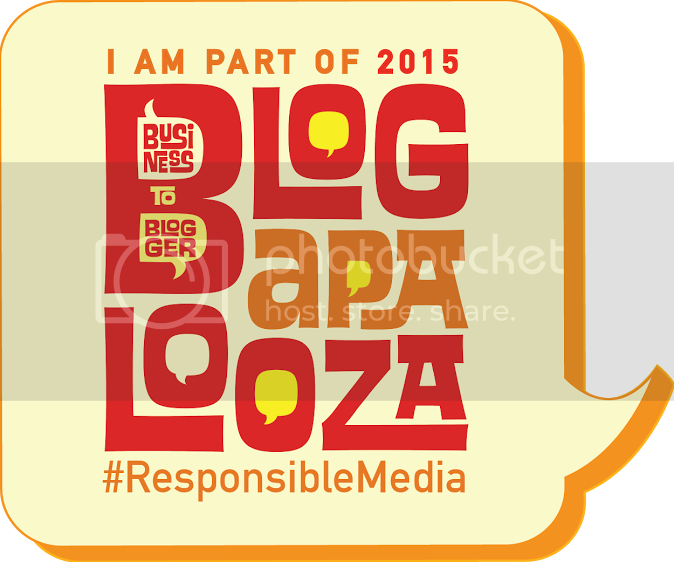 Thanks to Ms. Jimcy of Perceptions, Inc and Ms. Sol Razo of Certified Bloggers for the invitation. 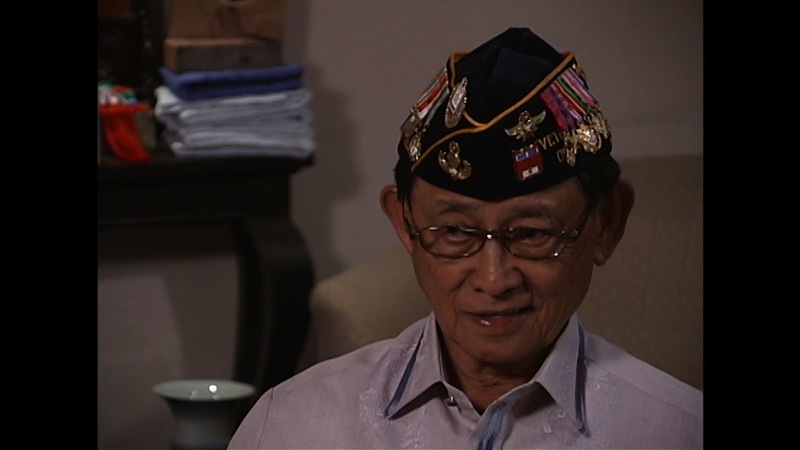 Watch the People Power: 30 Years On at Discovery Channel on its premiere tonight, February 25, 2016 at 9:00pm and catch its encore telecasts on February 26, 2016 at 1:00pm, February 27, 2016 at 7:00pm and on February 28, 2016 at 10:00pm. Discovery Channel, the flagship network of Discovery Communications, is devoted to creating the highest quality pay-TV programming in the world and remains one of the most dynamic networks on television. First launched in 1985, Discovery Channel reaches 209 million subscribers in Asia Pacific. It offers viewers an engaging line-up of high-quality non-fiction entertainment from blue-chip nature, science and technology, ancient and contemporary history, adventure, cultural and topical documentaries. Trying to lose fats after giving birth is easy when you are breastfeeding your baby. A lot of my friends were asking what I was doing since I was losing weight very fast but that was one of the benefits of breastfeeding. Mothers who practice breastfeeding usually lose 300-500 calories a day because those calories are used by the body as energy for milk production. It was such a delight on my part to provide breast milk for my baby while I get to lose a pound per week even without exercise. Unfortunately, after my maternity leave, I had to go back to work and that's when my milk began to decrease even if I use a breast pump at work. The bad thing was, my diet was still the same as when I was breastfeeding, so when I stopped breastfeeding, I began to gain weight. A year after, I gained a total of 5kg making me look bigger than ever. This made me decide to start working out which is quite hard to do regularly since I work from 8:00am - 5:00pm plus travel time from work going home which takes around an hour and a half depending on how heavy the traffic is. With that being said, sometimes I just feel like going straight to bed to rest instead of doing Xbox Fitness or Zumba. This made me try to search a way on how I may be able to lose some weight besides a bit of exercise and a healthy diet. Detox or Juicing is one option that has been a craze for health conscious people. I was able to try this before but this can be very pricey ranging from P200 per bottle which you need to take 2-3 bottles per day for a week or so. There's also the diet meal deliveries which gives you a complete meal with just the necessary caloric intake you need per day that ranges for like P1,500 - P3,000 per week. Both seems like great options but not for a thrifty mom like me. 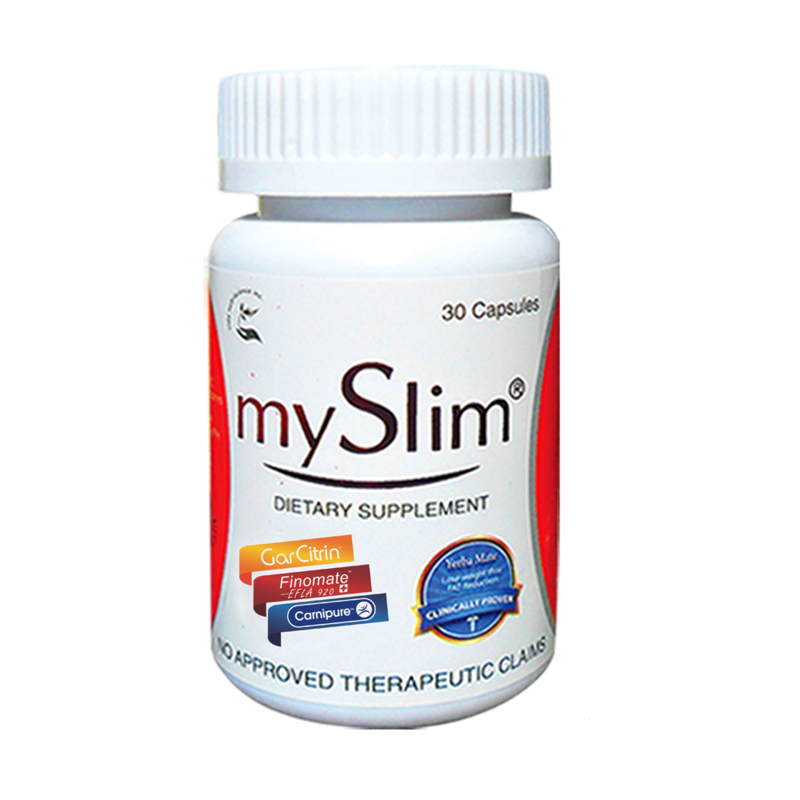 mySlim is the first slimming and detox drink with Yerba Mate formulation that is clinically proven to promote safe weight loss. Discovered in Brazil, Yerba Mate is used for teas and was later discovered to be an effective weight loss component after several clinical studies and researches. 1. It contains Yerba Mate which reduces fat without shedding lean muscle mass and burns the unwanted fats to make you fit and healthy. 2. It is packed with Palatinose which promotes energy for longer periods of time. 3. It also has Carnipure that reduces the sensation of hunger, resulting to reduction of one's food intake. 4. It is developed by Vida Nutriscience Inc., which is one of the leading health and wellness products provider in the market and the country's go-to provider of safe, novel and ethical health and wellness products. 6. It is very affordable for only P89.00 per bottle. 7. It is approved by the Bureau of Food and Drugs (BFAD) and the Food and Drug Administration (FDA) which means that it is safe and effective. To those who are also planning to lose weight, I highly recommend that you try mySlim with Yerba Mate drink. 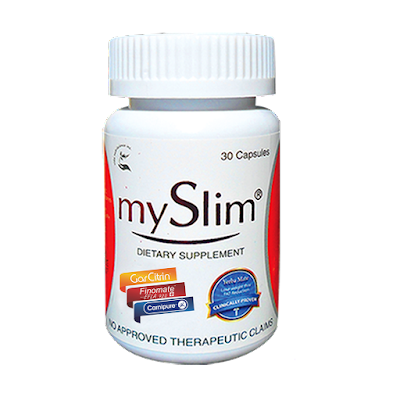 For best results, take one bottle of mySlim drink (max of 4 times a week) with 2 capsules of mySlim capsules per day plus regular exercises to help you lose unwanted fats faster. To make you more inspired to achieve the body you've always wanted, let me share to you mySlim's newest ambassador, Jennylyn Mercado, who was chosen because of her strength and value for constant change shown in her personality which is also mySlim's philosophy. For more information and details with regards to mySlim with Yerba Mate drink and all the other mySlim products, check out Vida Nutriscience Website and mySlim Website. You can also follow them on Facebook, Twitter and Instagram to get updates on discounts and promos. 51Talk capped its fourth year of operations in the country with a series of conferences for its home-based online English teachers. It is the biggest online English school in China and the Philippines, having the largest number of students in China and more than 5,000 home-based online English teachers in the Philippines. 51Talk helps Chinese students learn English through affordable lessons on its own online platform, which enables students to select the best possible teacher for them in the Philippines for interactive one-on-one online teaching. It’s a game changer in making online English learning accessible to all, and this is where our Filipino 51Talk teachers take great pride in their work. They see that what they do is meaningful and fulfilling, that it can actually transform lives. Each teacher has a wonderful story to tell about how he or she has helped many students. Take for example, 51Talk Teacher Crossing, 47, from Angeles City, Pampanga, played a key role in helping his student, 13-year old Gu, land second place in China’s "FLTRP Cup" National English skills competition. When students know how to write and speak English well, doors of opportunities open up in their career and personal lives. As such, they can be admitted to universities or work abroad. Teachers are instrumental to their students’ success – present and future. Indeed, teaching is one of the noblest professions. It must be said, however, teaching is not as easy as it may sound. Having good English communication skills may not be enough, so 51Talk ensures that all of its teachers are always well-prepared to face and teach their students through regular trainings that continuously improve their teaching skills. While teachers work at home, they enjoy flexibility of schedule. They are able to take care of their family. They are provided with a dedicated support team who gives them full online support – this is very beneficial especially to newly joined teachers. For senior teachers, the top performers can be promoted to home-based online trainers. This is why in 51Talk, there is career and development for online teachers at all levels of experience. 51Talk home-based online teachers during the “ Teachers’ Conference” held recently in Pasig City. The work has also made positive lifestyle changes for 51Talk teachers. 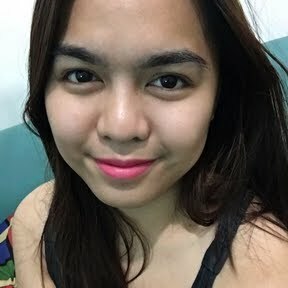 Teacher Jollibelle, 31, from Batangas City, says,“What attracted me the most to becoming an online English teacher for 51Talk is the flexible time schedule which is very suitable for a full time mother like me.” Teacher Jollibelle works at home and no longer worries about commuting, traffic, and finding a nanny or leaving her baby in the care of others. 51Talk teachers can earn more than an average full-time job’s wage. Top earners can earn as much as P80,000 a month when they take advantage of 51Talk’s incentive programs. 51Talk gives numerous income opportunities. The work is home-based, so no matter where you are, as long as you have a good Internet connection, a computer, webcam, and headset, then you are good to teach. Experience in professional English teaching is preferred. The essentials are a good command of English and a passion for teaching. Once you have these, 51Talk will help you polish your online teaching skills and start earning money from the convenience of your home. Interested in becoming a 51Talk home-based online English teacher? Visit http://www.51talk.com/ph to apply. 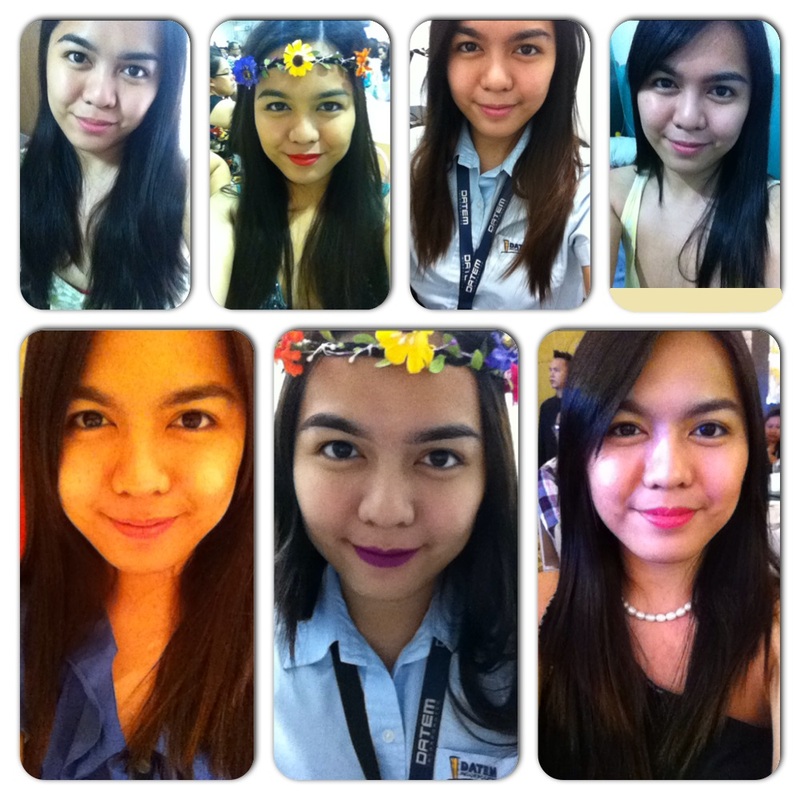 Okay, I admit it, I love selfies. Well, not like the over the top addicts that literally do their selfies in the not so convenient places that end up in a not so good situation. I just love taking photos when I feel like I would get a great shot for my profile picture, for example, when we are in a restaurant with great lighting or when I have my make up on special occasions. But recently, because of the holidays and bad eating habits, I noticed my cheeks getting chunkier which made me refrain from taking selfies. This made me start to lessen my food intake and even go to the gym and use a one month free trial voucher which just ended last week. :( I try to continue my efforts to lose weight at home by dancing and exercising using the Xbox One, but it seems like it wouldn't do much on losing the excess fats on my cheeks. Luckily, last Wednesday, I was invited to attend an event at Finessa Aesthetica. (Thanks to Mommy Lariza of Metrobuzz Bloggers for the invitation) To give you a brief background of this establishment, Finessa Aesthetica is a beauty and wellness clinic that boasts the best non-invasive technology in slimming and skin care here in the Philippines, under the direct supervision of board certified dermatologists. Located at G/F Cedar Executive Bldg. II #26 Timog Ave. corner Scout Tobias, Brgy. Laging Handa, Quezon City, Finessa Aesthetica is very accessible with just one tricycle ride away from Quezon Avenue MRT Station or a jeep from EDSA Kamuning Highway with a Pantranco/Panay Ave via Timog Ave sign board using MCDO Timog as a landmark. 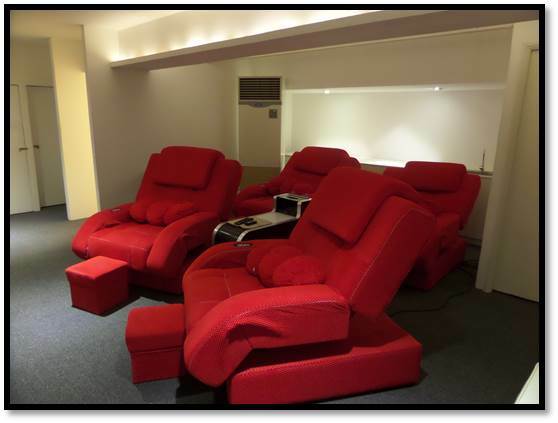 Once you enter the Timog Branch of Finessa Aesthetica, you will already feel a cozy and relaxing vibe with comfortable seats at the receiving area plus the very welcoming staff at the front desk. I just love the big chandelier lighting up the whole area. Beauty products are also in display with testers available for those who are interested and want to give them a try. Since it was my first time at Finessa Aesthetica, they made me fill up a Medical History Form. This is to know if a guest visiting the clinic is safe to undergo a certain treatment depending on his/her medical status. Next, they asked what treatment I would like to avail. I wasn't familiar with their services so I asked what procedure they could offer that would help make my cheeks look less chubby. Then, they suggested that I try ReForm (Face). ReForm not only tightens and contours the skin but it also removes wrinkles, tightens pores and whitens skin with continuous sessions. This procedure can also be done on the thighs, abdomen and arms. ReForm is a 15-20 minute treatment which started of with cleansing my face using a sponge and a facial foam wash. The nurse then explained that the equipment to be used on my face will produce heat and will feel like a suction that would eventually tighten my skin. It was nice of her to also inform me that if the heat is unbearable, I should let her know so that she could adjust the setting. A cream was also applied on my face as the equipment was used. Unfortunately, one session which costs P1,120.00 wouldn't show much change as it would only make my skin feel soft but will burn fats up to three days. The nurse informed me that visible results will be seen after the third session. After 20 minutes, here's my "after the procedure" photo. By the way, the nurse advised me not to wash my face for 6 hours. We then checked out the second floor where their famous Gluta Drip takes place. 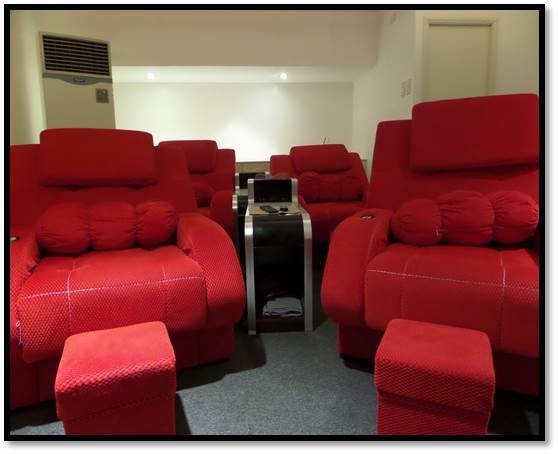 It looked really comfortable with all the reclining sofa and a flat screen TV for clients to feel relaxed and less bored during the procedure. For those who would like to try out services that Finessa Aesthetica has to offer, check out their Facebook Page or add their Facebook Account. You can also follow them on Instagram and Twitter to get updates on promos, discounts and packages. You may also viber them at 09778107420 to schedule a doctor's consultation so that an expert can assess you and suggest what treatments your skin needs. Visit a branch near you and achieve a Beauty beyond compare only in Finessa Aesthetica! 203B Pergola Mall, Aguirre E. Gaches & Gil Puyat St.